Auto transmission is an expensive part of the car to replace. 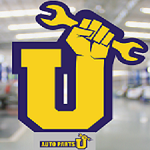 Therefore, it is important for you to maintain the transmission of your car and spot minor problems if any, before the car breaks down. This article provides a few tips that are likely to help you avoid failure of the auto transmission. The fluid in an auto transmission is the life blood is its life blood. Its operating efficiency is dependent on the fluid that keeps it smooth and lubricated. For checking the level of the fluid, make sure that the car is parked and in running condition. Slowly pull out the transmission dipstick and check to ensure that the fluid is red and does not have any kind of unpleasant odor. When transmission fluid is in transparent and red in color, it means that it is in good condition, and if the fluid is brown or black in color or smells burnt, you need to have your vehicle checked by an experienced mechanic as early as possible in order to avoid damage. Most of the transmission problems start out small and get worse over the time. To catch any problem in your transmission, it is important for you to be aware of any unusual sounds, behavior or vibrations from your vehicle and have them checked at the earliest. For any leaks, check the bottom part of your car. The color of transmission fluid is red and if there is any leakage, you should be able to spot it clearly. If you spot any leakage, check with the transmission dealer at the earliest, because if the fluid level goes below the recommended level, your transmission is at the risk of getting damaged. There are number of properties in the transmission fluid that can wear out over time, which can damage your transmission. The best way to keep your transmission in good condition is to get it serviced regularly. Fluid and filter change can increase the life span of your auto transmission. In today’s cars, the engines and transmission are linked more than the cars in the past. A problem in your engine can put strain on your transmission. This is why it is important to keep your engine tuned. A well tuned engine reduces stress on your transmission and thus your transmission last longer without any major repairs. Following these tips is likely to lead to optimal functionality of auto transmission of your car.